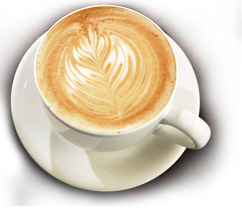 A Whole Latte Love is Sacramento's "Premier" Espresso/Specialty Beverage Bar Caterer. Allow us to enhance any of your special events with our full service espresso/specialty beverage bars. Our specialized bars are brought directly to your event site, fully equipped, where one of our trained Baristas will artfully prepare your beverages. Serving the Sacramento metropolitan and surrounding areas. 6'x6' Kiosk Area, Dedicated 110 - (20 amp/2400 watts and not more than 25' from power source). Configuration must fit through a standard doorway of no less than 32" wide. All of our espresso beverages are prepared with only the highest-quality espresso beans. We blend our rich espresso with assorted Ghirardelli chocolates and Torani flavored syrups to ensure your satisfaction time and again. Whether it is a rich mocha, a creamy vanilla latte, or quite simply a smooth shot of espresso, we want your guests and clients to be well taken care of. Don't forget our fresh fruit smoothies, blended frappes and Italian soda bars. A Whole Latte Love will work with you to customize a menu that compliments your special occasion.